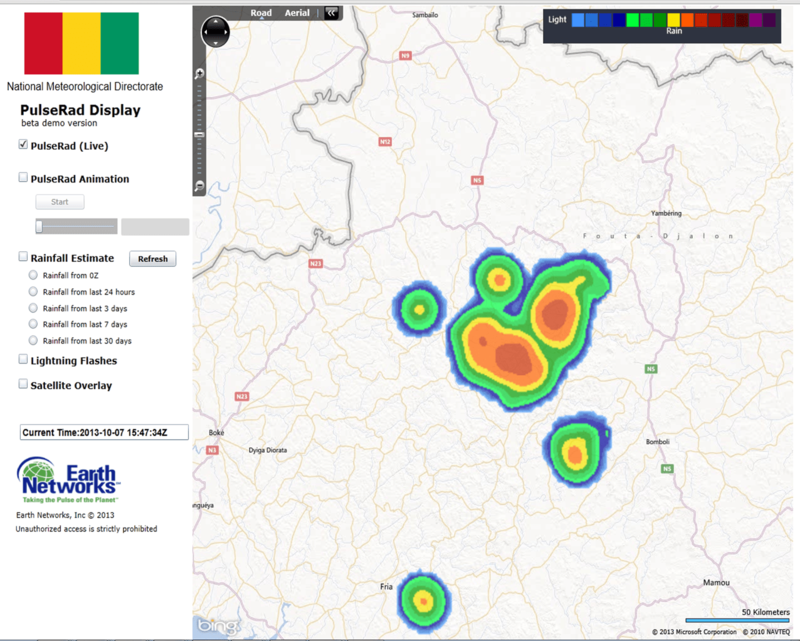 07 October 2013, 15:45 UTC – Late this afternoon, numerous thunderstorms developed across the Moyenne Guinea with some strong storms being detected by proxy radar. 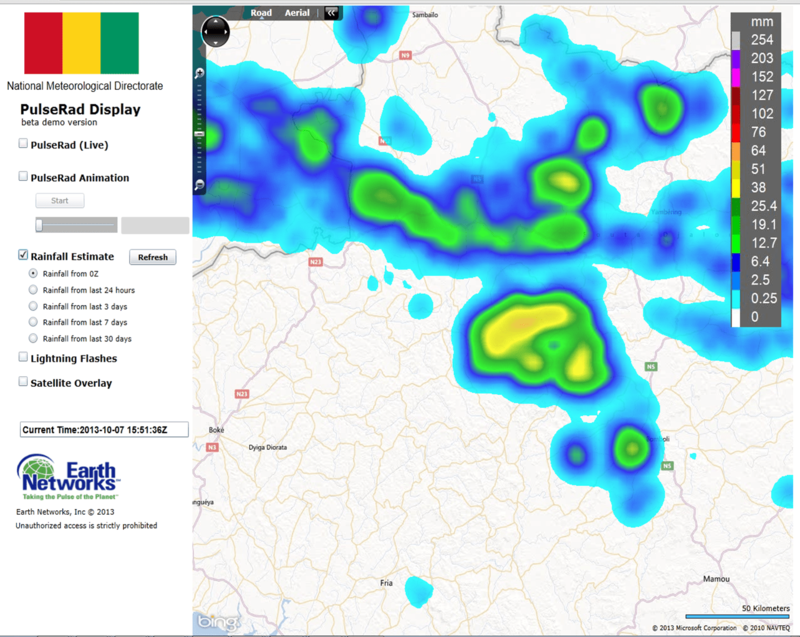 Our total lightning detection system tracked the cells as they moved slowly WNW. The PulseRad system calculated that 25-50mm of rainfall accumulated in the heaviest storms due to the slow movement of the storm cells. The rain fell in about 60-90 minutes. The image below shows the automated alerts issued for Dangerous Thunderstorm Warnings due to the frequent lightning detected and subsequent heavy downpours and gusty winds. The storm moved WNW toward the coast and into Guinee-Bissau by 9 p.m. local time. For more than 20 years, Earth Networks has operated the world’s largest and most comprehensive weather observation, lightning detection, and climate networks.